How on earth did that happen? 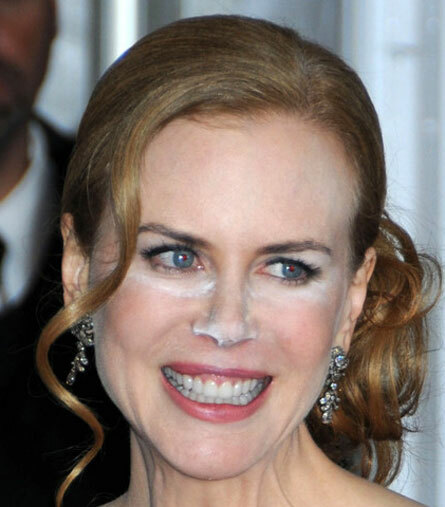 Nicole Kidman must have looked in a mirror the last opportunity she had before stepping on the red carpet! An over-zealous makeup artist must have decided to give her a quick finishing touch in the limo and not blended properly. A costly mistake. I can’t quite imagine the scene that must have ensued when Nicole saw these pictures. I wonder whether it was noticeable to all who was there or whether the excess powder only showed up against the glare of the paps’ camera bulbs? maybe she decided to do it herself?